Welcome back to Academic Insights – the series where we interview distance learning experts and get their tips on how to be a top-class student. This time we're looking at the part of a course where your knowledge is put to the test: exams! Meet tutor Laurence and hear his tips for getting the A grade! Laurence Knell is a distance education tutor and he has a lot to say about assessment. We asked him to share some tips for students getting ready for exams on their distance learning courses. Scroll down to watch the video and get on your way to excellent exam results! To help you, take a look at the definitions of some key words from Laurence's video in the Session Vocabulary box. How do exams work in distance learning? 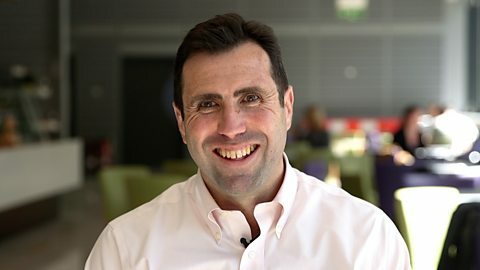 Laurence Knell answers your questions in 3 minutes. My name is Laurence Knell. I'm a distance education tutor. Exams have a very important purpose. They are a great opportunity for the university to understand the student's progression, understand their learning, and how well - or otherwise - they may be learning. For a student, they also play a very important role, in helping them consolidate their knowledge, gain greater insight and understanding into what they've been learning, but also to demonstrate that knowledge. So actually, for a student, I would say that they have a very positive purpose as well. For distance learners, typically exam centres are set up in central locations. So, whether they're, for example, in the UK but in different parts of the UK, or maybe in mainland Europe. So, for students who are unable to reach an exam centre, my university will work with them and their organisation, to ensure that a responsible person within the organisation is able to monitor the exam and create exam-like conditions for them. I've even heard of students who were sailing round the world on ships sitting exams. Yes, there can be additional challenges. And that's where practice, repetition and rehearsal really play an important role. Focus on answering the question, making sure that their response is clear, simple and concise, and that their grammar is as simple as possible. Ideally, yes. It is an exam in an academic context. However, it is understood that nobody writes the same in an exam as they do in a formal assignment or other piece of written work. A good student exam paper, simply put, is legible. It has to be readable. It needs to be concise. It needs to be to the point and, most importantly, it needs to answer the question, using relevant evidence and examples from the course and elsewhere. My advice to students who are really nervous in exams is to see it as an opportunity: an opportunity for them to demonstrate to their tutor - to the markers - that they actually do know the material, they have engaged with the course, and to see it in a positive light. We hope you've picked up some top tips to help you prepare for your distance learning exams. Let's recap the #7 things we've learned about excellent exam technique. Exams are useful tools that universities can use to understand how well their students are doing. By doing exams, students can consolidate their knowledge, get a better idea of what they have been studying and demonstrate what they know. Distance learning exams are held in central locations – if students can't get to an exam centre they can make arrangements to take the exam elsewhere. Non-native speakers may find exams challenging – practice, repetition and rehearsal of exam technique is important to be well prepared. Using academic language in exams is important, but don't stress about it – nobody writes the same way in an exam as they do in a formal assignment. Legibility is key – your exam answers need to be readable. Make sure your writing is concise and answers the question, using relevant evidence. Don't let exams make you feel nervous! It's your chance to demonstrate to your tutor and the exam markers what you know. 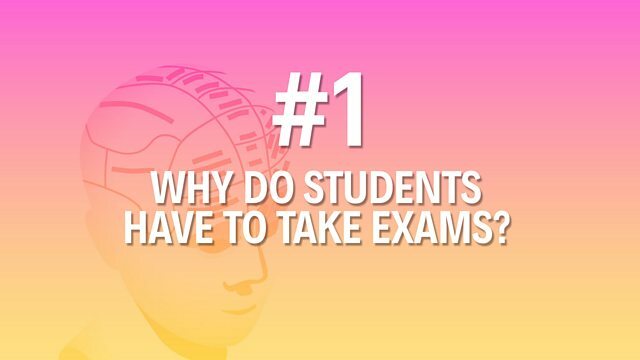 You can hear more from Laurence and get more exam tips by visiting our partner The Open University – click on the link in the 'Where next?' area.